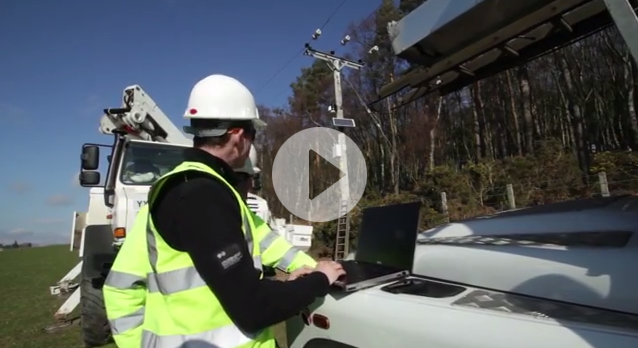 One of the most significant UK smart grid projects ever undertaken in the UK, the Customer-Led Network Revolution has generated important new learning and leaves a comprehensive legacy. Learning from this project has enabled us to develop a smart grid route map for the future, and as a direct result Northern Powergrid is making changes to its business, and recommendations to other network operators to do the same, so that they and their customers can benefit. CLNR was a major smart grid demonstration that brought together key stakeholders in the electricity industry – customers, suppliers and distributors – for the first time, to develop innovative solutions and commercial arrangements together. Our partnership with electricity supplier British Gas delivered important insights into the development of future commercial arrangements that meet customers’ needs. Our trials demonstrated that most domestic customers are inherently flexible and that they contribute less to network peak demand than was previously assumed. Through working with customers equipped with smart meters, we now have a greater understanding of the impact of low carbon technologies like solar PV, electric vehicles and micro-CHP, allowing us to assess how future network and generation costs could be reduced. We have also been able to conclude that industrial and commercial demand side response is a viable and reliable option today, to address future network constraints, both in terms of customer cooperation and post-fault response. However, there are presently few customers willing or able to provide this service. Good engagement by the industry will be critical to overcome the challenge of finding suitable DSR provision in the right geographic locations. The engagement in our trials was through commercial aggregators as well as direct with the customer. Under the control of our active network management system, we have deployed a range of novel solutions, and used advanced modelling techniques created by Newcastle University to predict, validate and scale-up the learning from our trials. We have been able to scale up this learning for GB-wide application; thanks to the diverse trial zones selected for the project, representative of 80% of UK distribution networks, our techniques can be replicated nationwide. We developed practical tools for the benefit of other DNOs, from the prototype NPPADS (Network Planning Design and Decision Support) tool, to new policy and technical recommendations, lessons learned reports and our ‘how to’ application guidelines for equipment and training. From the outset, disseminating our learning was central to the project. We are proactively sharing our findings with our valued stakeholders via using a range of different channels and media. All of our project outputs can be searched for, shared and accessed in the project library on this website. The CLNR project has moved us significantly along the road to defining smarter ways to future proof the electricity network – but there is much more still to be done. We have identified areas requiring further attention and made recommendations about where more learning is needed.